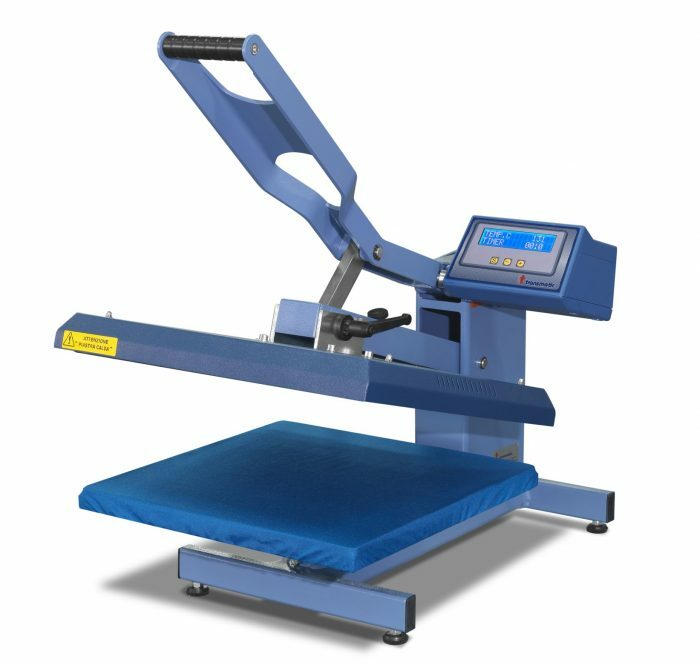 Manual heat press. The top plate is not fixed in a rigid manner to ensure an uniform pressure between the upper plate and the bottom plate. Electronic time and temperature regulation. The bottom plate is interchangeable. Time adjustable 0-999,9 sec. 0-999,9 sec.